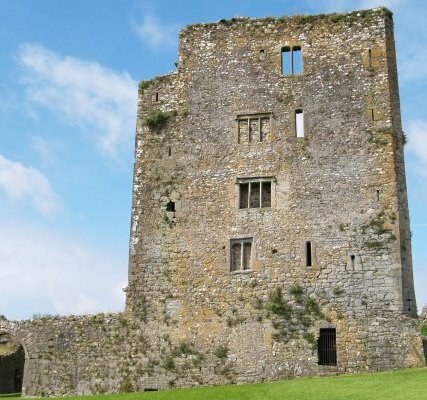 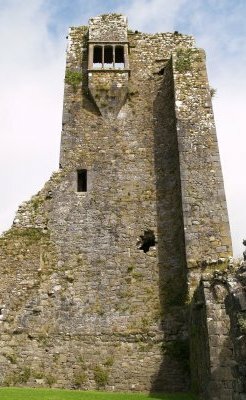 Granagh (Granny) Castle, Kilkenny, on the northern banks of the River Suir, west of Waterford Town, one of the oldest Norman castles in Ireland. 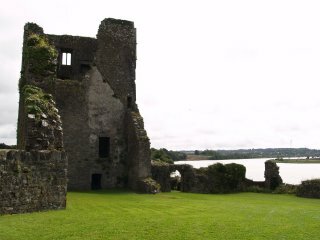 Looking east down the River Suir towards Waterford Town. 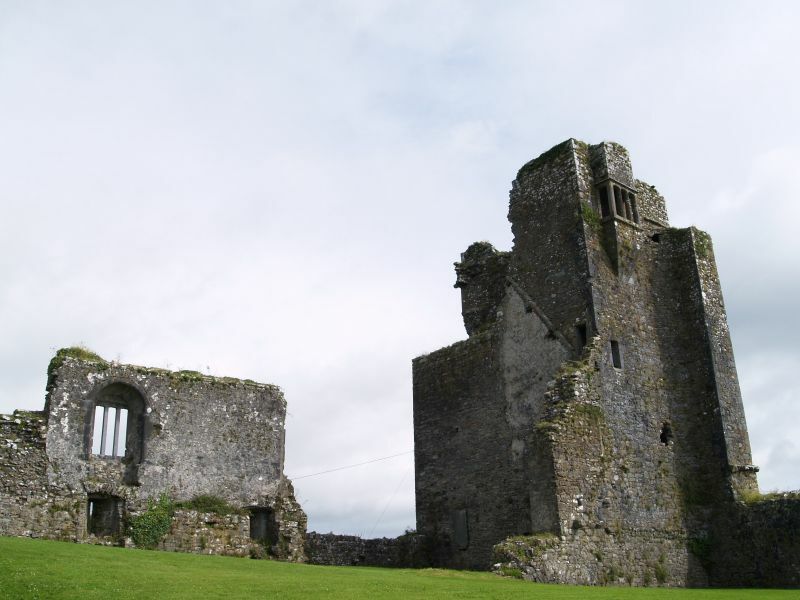 Quite a bit of the walls of the main (originally) multi-storied building survives. 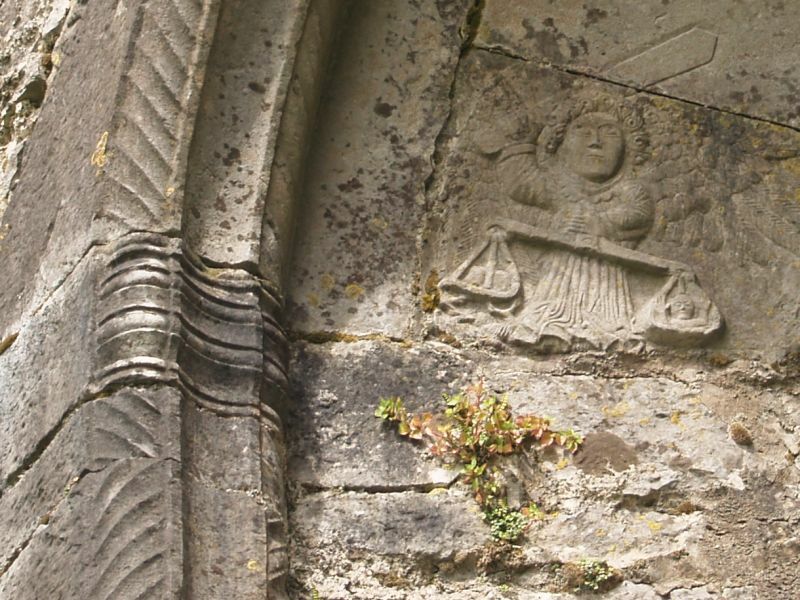 There are still a few signs of the wonderfully rich decorated stonework that went into the building of the castle. 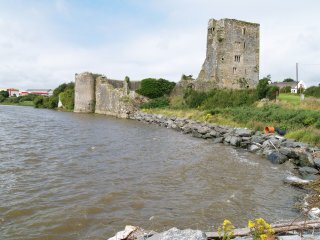 Looking west up the River Suir towards Carrick-on-Suir. 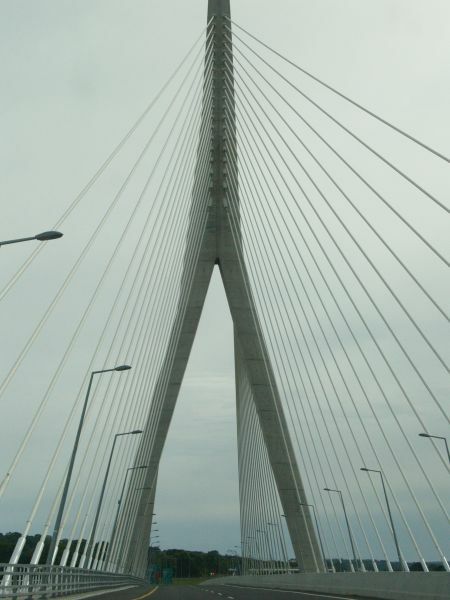 The new long cable-stayed bridge is a magnificent and attractive construction that is part of the N25 Waterford bypass. 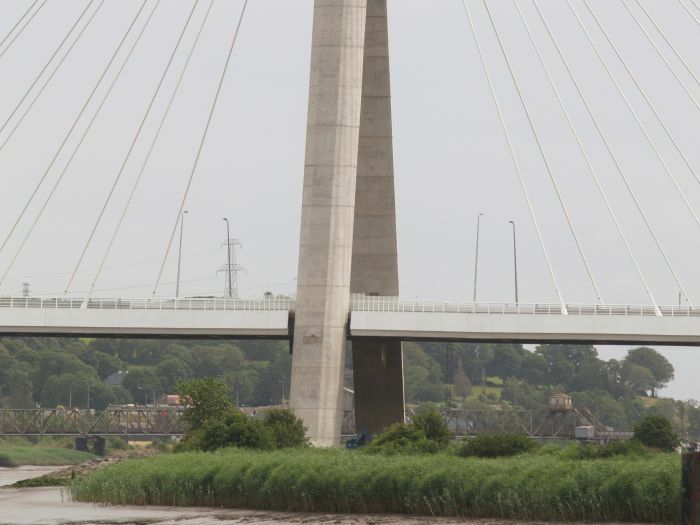 The new road bridge viewed from Granny Castle. 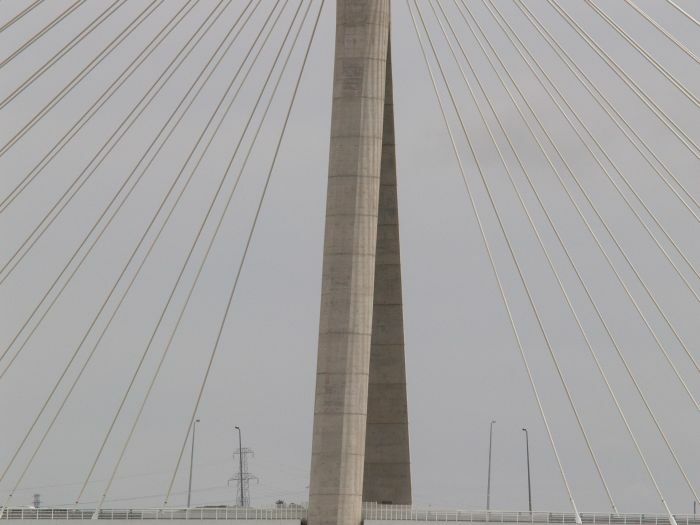 It is 450m long and 100 m high in the centre. 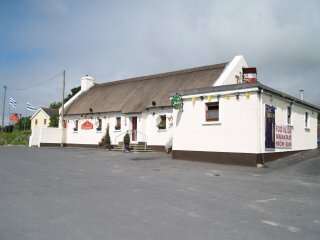 Granny Castle, County Kilkenny, Ireland: The Thatch Bar is across the road from Granagh/Granny Castle on the Waterford to Carrick-on-Suir road in Co. Kilkenny, Ireland. 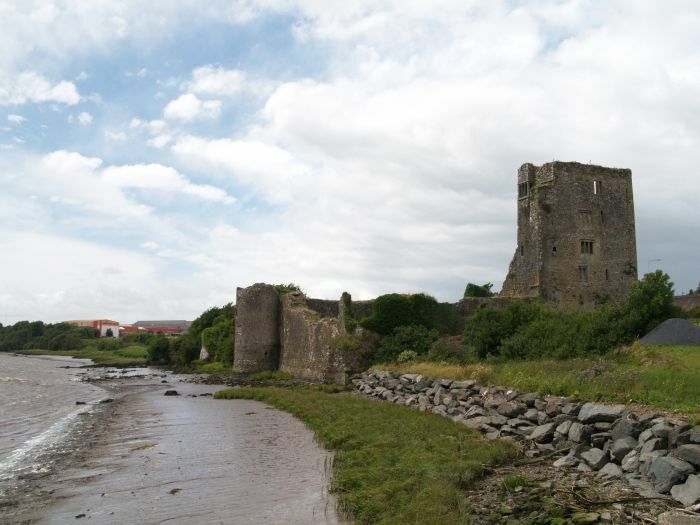 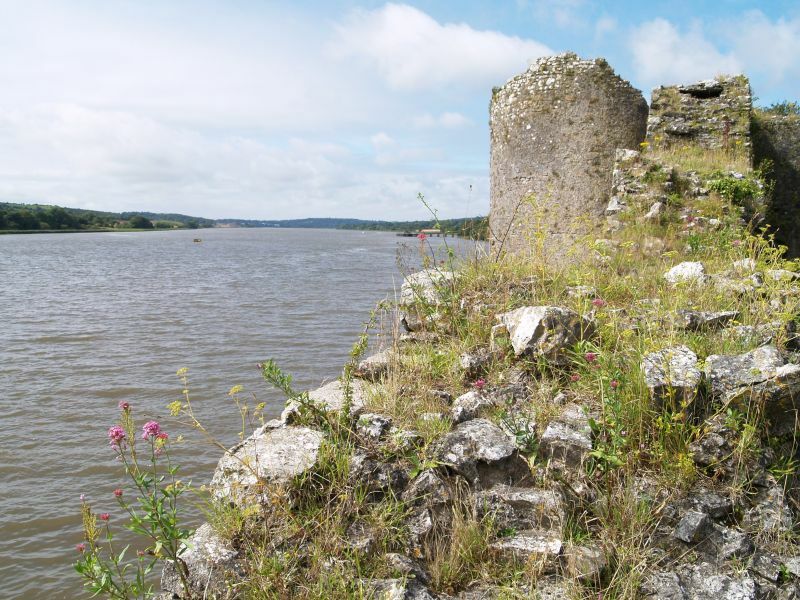 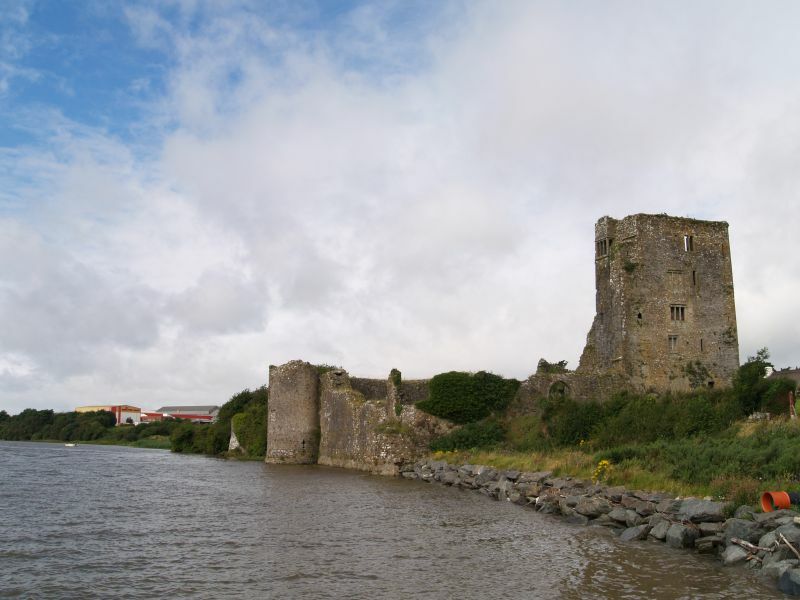 The Norman castle, one of the earliest in Ireland, stands on the banks of the wide River Suir west of Waterford town. 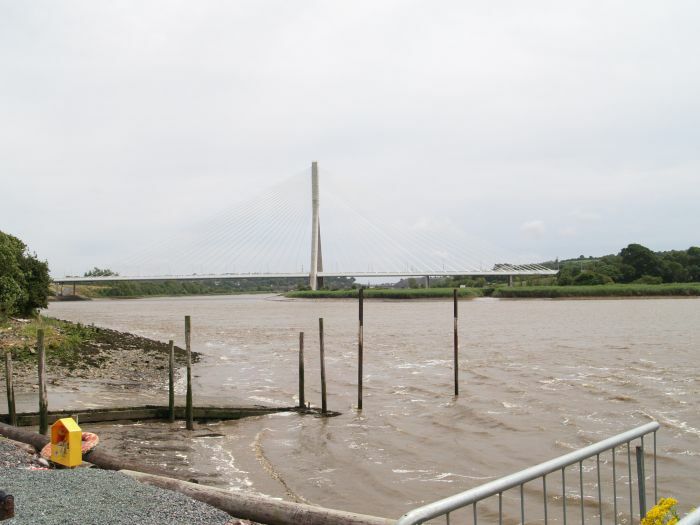 It is on private land but there is a laybye to act as a good picnic spot - you can also see the new road bridge over the River Suir. 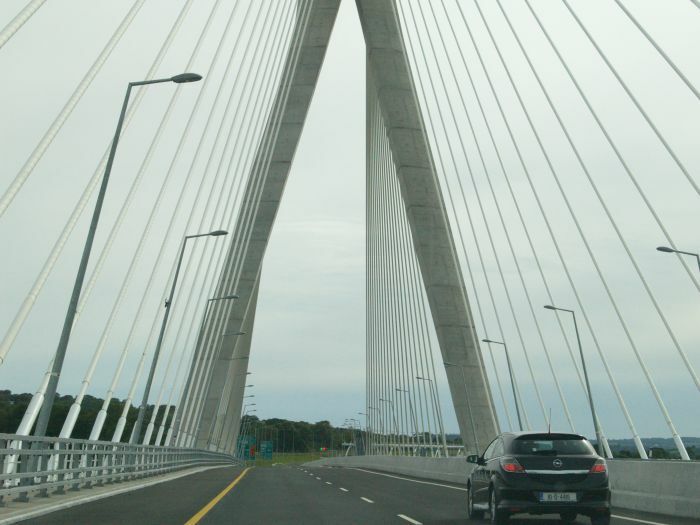 Details of the steel cables holding the road surface in position. 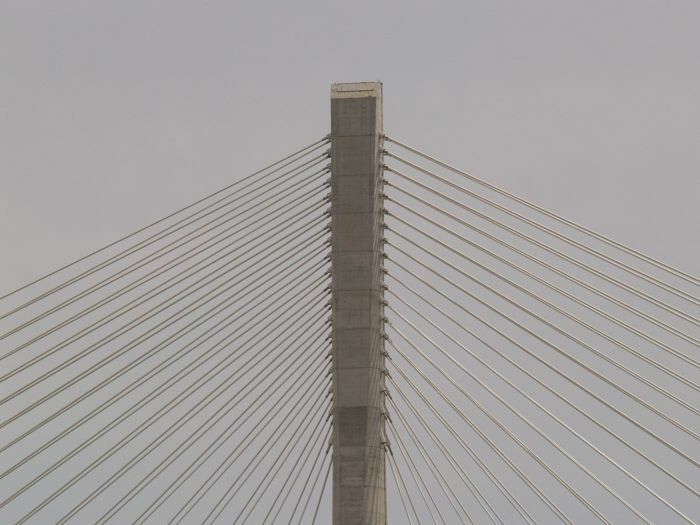 Beautiful and satisfying engineering symmetry! 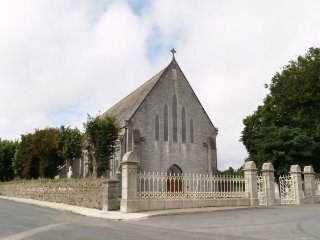 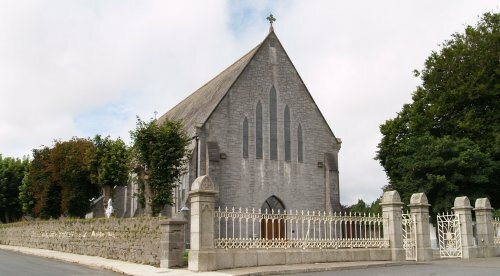 The exterior of the Church of the Assumption, Mooncoin. 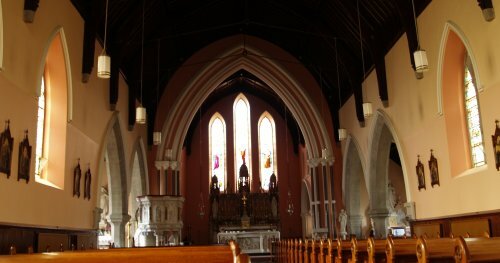 The interior of the Church of the Assumption, Mooncoin. 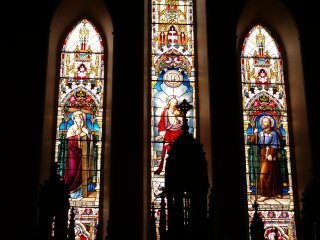 The fine stained glass windows. 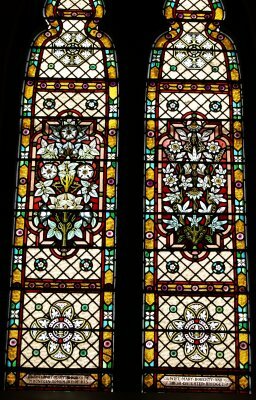 Left, the beautiful floral stained glass window, and right, the magnificent stained glass window above the altar. 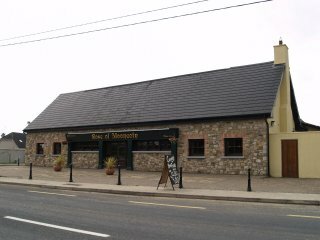 Mooncoin, Co. Kilkenny, Ireland: The Rose of Mooncoin, on the Waterford to Carrick-on-Suir road in south County Kilkenny, Ireland, is a recent addition to growing band of 'all day breakfast' establishments. 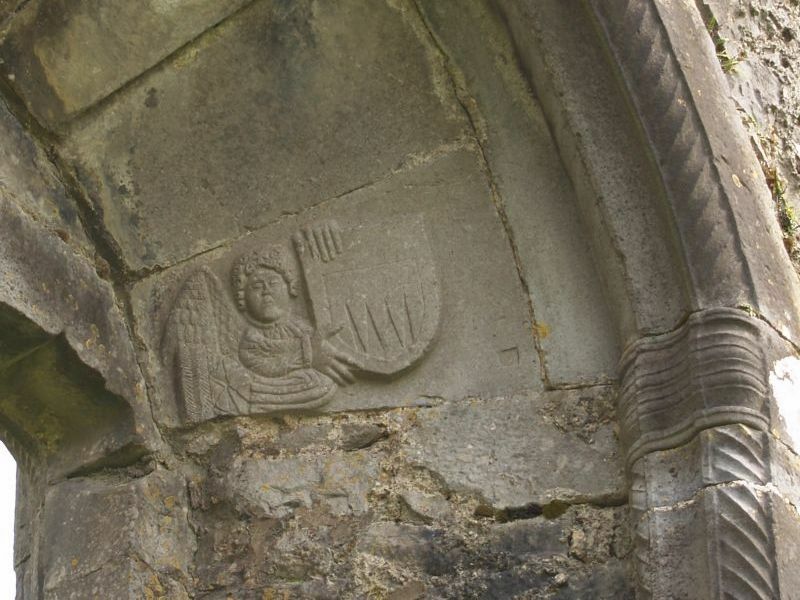 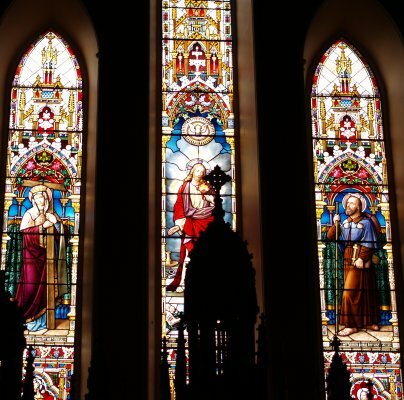 Call in at the Church of the Assumption, Mooncoin, for some stunning stained glass windows.